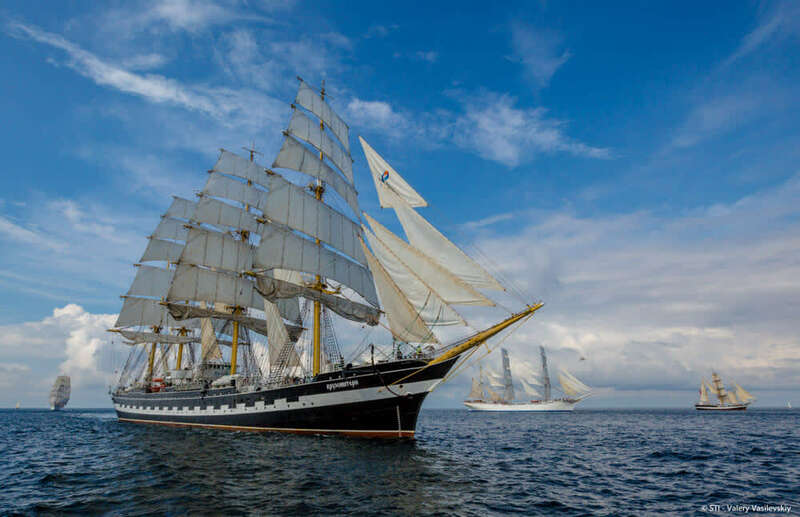 Boston Harbor takes center stage as dozens of magnificent sailing vessels, led by the US Coast Guard Barque Eagle, gather for the grand Parade of Sail on June 17. A breathtaking maritime spectacle, the Parade includes such glorious ships as: Unión from Peru; Europa from The Netherlands; Alexander Von Humboldt II from Germany; El Galeon from Spain; Guayas from Ecuador; Blue Clipper from the United Kingdom; Bluenose II from Canada; Esmeralda from Chile; and many other stately vessels from around the world. Please view up-to-date list of visiting ships.